This Saturday, hope for sun as Vinofest takes over NoMa 3pm and continues on til 10pm. 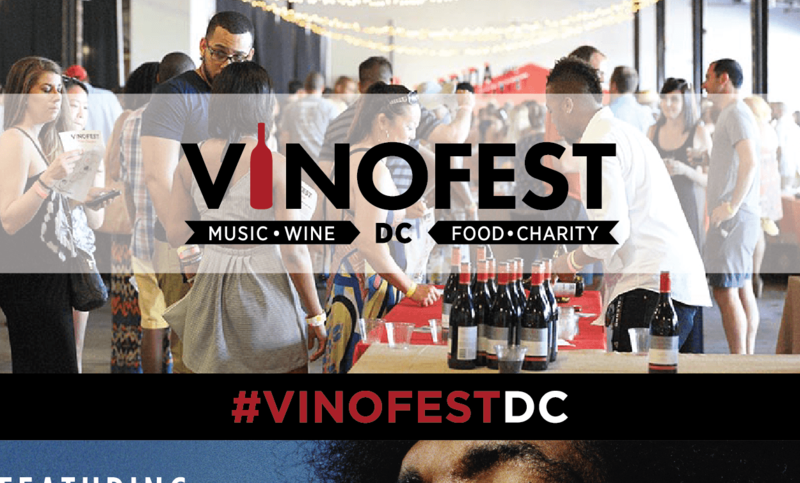 Presented by Vinolovers, VinoFest is a curated wine and music festival that celebrates memorable wine experiences, flavorful music, passion for food, diverse communities, and charitable giving. This unique intersection of passion and purpose makes VinoFest more than a wine event and even more than a concert – it’s a full sensory experience. Musical guests include DJ Neekola, Alison Carney, DJ Hazzard, Black Masala, DJ Adrian Loving, White Ford Bronco, DJ Adrian Loving, Trouble Funk and Questlove as the headliner. Complimentary tastings and a commemorative glass are included in the ticket price. Foodtrucks will be on hand, including Dirty South Deli, Gouter, Red Hook Lobster, Pound DC, Slate Wine Bar + Bistro, Straw Stick & Brick Delicatessen, Snocream Company, Swizzler, and Puddin’. Proceeds benefit Make A Wish Foundation Mid-Atlantic, DC Central Kitchen, and Network for Teaching Entrepreneurship. Vinolovers is an e-commerce and festival experience company. Our online wine subscription service delivers monthly curated and personalized wine sourced from boutique wineries. It’s a wine club that refuses to be simply a wine club. Our VinoFest Wine and Music Festival brings people together in celebration of love of wine and love of life.